Traditionally eggplant or brinjal is either cut or roasted on direct fire and then cooked with necessary ingredients to make the desired recipe. 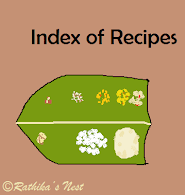 In typical Brahmin cooking roasted eggplant is used to make kothsu (கொத்சு) or thuvayal (துவையல்). Roasting eggplants on direct fire imparts a unique flavor to the recipe. 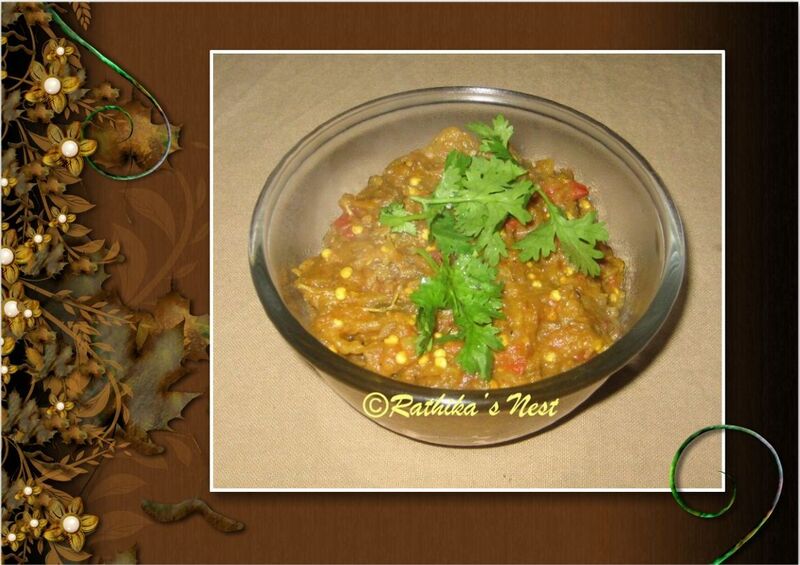 Baingan bharta is a north Indian curry recipe that goes well with chapattis. Large purple eggplants (Figure 1) are used to make this curry. Last week when I found fresh eggplants in the vegetable shop, I decided to make baingan bharta. For a typical south Indian household, this curry makes a refreshing change. Just give it a try. Method: Wash and dry the eggplants. Smear gingelly oil on the surface of the vegetable. Roast the eggplants on direct fire as shown in Figure 2. Turn the vegetable around and roast on all sides till the skin turns black and eggplants become soft. Remove from fire and allow them to cool (Figure 3). Late peel the skin, remove the stalk and mash the eggplants into a smooth pulp. Keep aside. Heat oil in a kadai and add cumin seeds. When the crackle, add chopped onions and sauté till they turn light brown in color. Then add tomatoes, green chilies and ginger. Mix well; cover and cook on low flame till tomatoes become soft and pulpy. Now add the mashed eggplant, turmeric powder, coriander power, cumin powder, Kashmiri chili powder and salt. Blend well, cover and simmer for 5 minutes till oil separates. Finally add garam masala and mix well. Cook for 2 more minutes and remove from fire. Garnish with coriander leaves. Serve hot with chapattis, salad and raita.